Budget and financial statements – Review the annual financial statements and current operating budget to see the line-by-line operating expenses. Is the HOA staying within budget? Is the HOA building adequate reserves? Is the HOA financially healthy? Rules and regulations – This document has the greatest impact on day-to-day living. Are there pet restrictions (weight, breed, type)? Is there a rental cap and what is the minimum allowable lease term? Are there requirements to occupy the condo for a period of time before renting is permitted? Can you remodel? Annual and monthly HOA meeting minutes – The regular meeting minutes reveal what’s going on in the community, what regular maintenance or repair projects are upcoming in the short term or what major projects are being planned for the future. The minutes can reveal how well the HOA is managed/functioning and communicating with owners, whether there are pending legal issues or, if you read between the lines, discussions relating to major repairs on the horizon. Declaration and Bylaws – These legal documents were recorded with the state when the condominium was created. There’s a lot of boiler plate legal information here, but this is where you can find the basic legal structure for the HOA, creation of the board, owner voting percentages, general rules, square footage, floor plan, assigned parking and storage for the unit. Reserve Study – A professional reserve study provides information and projections for the current condition and estimated remaining life of major components of the community (siding, roof, driveway, etc.). The report provides projections on the remaining life of each element and the estimated cost to replace those items. Be sure the HOA is building appropriate reserves to cover those future expenses. Master Insurance Policy – The HOA’s insurance policy covers the main structure, parking and amenity structures and sometimes includes earthquake coverage. Your lender will need a copy of this document and your insurance agent will refer to the policy to prepare the appropriate HO-6 policy to cover your personal belongings and liability coverage based on the HOA’s coverage and deductible. There’s a significant amount of community information in the resale disclosure documents. When you purchase a condo take the time to review the documents and ask questions. The association manager is a great resource for information and, since you’re working with a professional Realtor®, he or she is a knowledgeable resource. 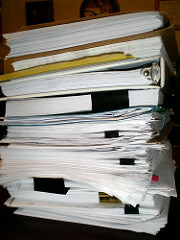 If there are still concerns, have your attorney review the documents to put your mind at ease. More often than you might think buyers move forward with a condo purchase without reading the HOA disclosure documents, only to find they are unable to rent the unit as planned, bring their treasured four legged family member or they’re surprised by the special assessment for a new roof a few months after closing. It’s the buyer’s responsibility to review the resale disclosure documents and ask appropriate questions if there are concerns about permitted use, budgets or reserves. It pays to work with a real estate broker who specializes in and understands condos and HOAs, who will keep you informed from the beginning and make it easier to make an informed decision.